is a speciose myrmicine genus with a worldwide distribution. 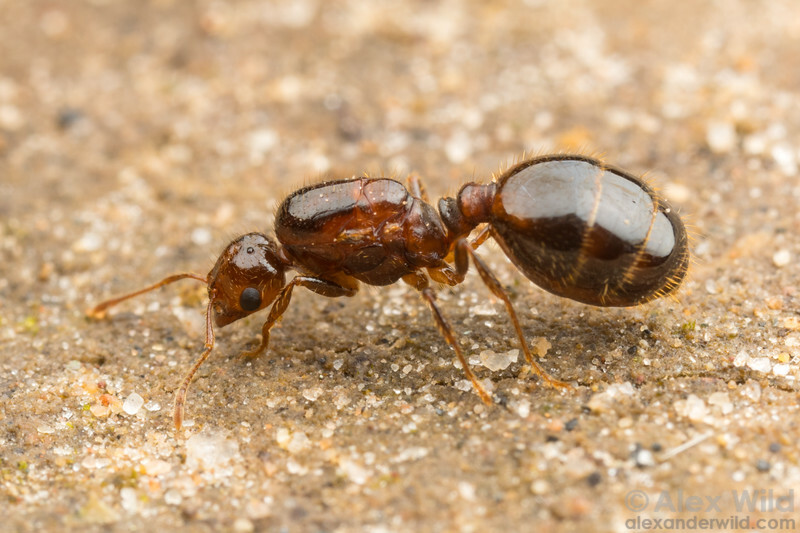 The group is best known for some of its larger members, the fire ants, but most of the diversity in Solenopsis is found in small subterranean species. Several species of fire ants- most notably Solenopsis invicta- have become economically important pests where introduced by human commerce. A newly-mated fire ant queen searches for a suitable place to start a colony. Brackenridge Field Lab, Austin, Texas, USA.